After seven seasons at Boston Ballet, Melissa Hough is about to kick-off a new season, in a new city with Houston Ballet. Young students in the Dance Advantage audience may appreciate knowing, however, that before setting her sights on a career in ballet, she took classes at a local “competition studio” in Glen Burnie, Maryland. When I asked Melissa to share the first thing she does when she walks into the studio for a rehearsal, she replied, “Uhhh…..I put my giant bag down.” She is equally direct and candid as she describes her shift in emphasis from Broadway to ballet, her experiences as a newcomer to Houston Ballet and its city, and the fun and challenge of what lies ahead. Dance Advantage: It seems you’ve survived the heat of a Houston summer. How are you acclimating to a new city – it’s quite a different feel from Boston, no? Melissa Hough: Houston is practically the opposite of Boston, which is a good thing for me! Moving here in the summer, most people ask me how I’m adjusting to the heat in Houston and I really don’t mind it at all. Besides feeling dehydrated sometimes, the heat is great for my muscles and I’d take a hot, humid day driving around in my car versus trudging through the snow in Boston any day! Besides the heat, I enjoy how green Houston is. I have space outside of my apartment to actually have plants…..yes, it’s a nice change for me. In Boston, I also missed having a car, and while driving again after 5 years of being a “walker” was a bit scary at first, I am happy to be mobile again. DA: Tell us about your early training. MH: I began dancing at the age of three. I took jazz, tap, ballet, lyrical, hip hop….the works! My studio, Dance Explosion had ballet teachers who were also on staff at the Kirov Academy of Ballet in Washington, DC. We participated in regional dance competitions all year and then one or two national competitions in the summer (the finale). I gained miles of performance experience from competitions….stage fright? What stage fright? When I became more serious about which direction I wanted to focus on, I auditioned for the year round program at Kirov Academy. I lived at the school for four years, while still taking my jazz, tap, lyrical classes and participating in competitions, and working on summer correspondence courses so I could graduate early. I also took some voice lessons, because for a long time I wanted to be on Broadway, but during my time at Kirov I decided I wanted to go for it- try to be a ballerina. My (Russian) teachers never thought I’d go very far in a ballet company. They felt I was more suited for contemporary, which at the time I was. DA: You have worked with Houston Ballet’s Artistic Director, Stanton Welch before. Did that experience influence your decision to come to Houston, and what about the company’s repertoire drew you? MH: I worked with Stanton when I was 17 years old at BalletMet (Columbus, OH). It was my first year as a professional dancer and I didn’t know what to expect. I always enjoyed working with Stanton because he was demanding, precise, and encouraging in his own way. He worked the way that I like to work, I learned a lot from him and it stuck with me even after I’d moved on from the company. When revisiting the idea of Houston Ballet again (the company had crossed my mind in the past) and speaking with Stanton again, I felt he was still the demanding, precise and encouraging choreographer I knew when I was 17, but more importantly I felt that he has become a director who is honest, cuts to the chase and doesn’t like to waste your time or his. When seeing more of what his company is about, I saw a group of hard working dancers who are focused, versatile and quick…..they don’t like to waste time. I felt the atmosphere was somewhere I could breathe easy and just dance…..a lot. The repertoire speaks for itself and I believe the company will maintain a high level of repertoire, if not improve and grow with the company. I also have to mention Wortham Theater Center and the new Center for Dance make Houston Ballet a very desirable place to dance. I fell in love with Wortham Theater Center the first time I stepped foot inside of it. It is amazing to have three studios to work in, not to mention an enormous backstage area and (of course) stage. I look forward to performing on that stage soon! DA: Was there any awkwardness in being a newcomer or do you feel like things just clicked right away? MH: In some ways, I feel more like a newcomer now than I did when I first began rehearsals with the company in July. It has been seven years since I’ve been a “newbie” and the transition has been a bit strange at times. Different emotions have snuck up on me here and there or I’ll have a sort of….epiphany here and there, but I’m embracing the change as much as I can. DA: What do you do to smooth the transition and develop trust and a rapport with a new partner? MH: It’s been interesting working with new partners because you have no expectations. Luckily, I’ve been stuck with great partners (Connor Walsh, Joseph Walsh, James Gotesky). It takes time, and more specifically stage time, to really build a rapport with a partner, but it’s been good so far. I’ve been trying to just go for it and trust them from the start and there have certainly been days that haven’t gone smoothly, but it’s normal. The men in this company understand the importance of good partnering and I look forward to what lies ahead. DA: Body, Soul & Gershwin is Houston Ballet’s season opener and features Jirí Kylián’s Forgotten Land and two of Welch’s own works; the movement-driven, Tu Tu and a story-driven romp through a 1940’s era Big Apple titled, The Core. What will you be dancing in Body, Soul & Gershwin and which aspect of the choreography has been the most rewarding? MH: I am involved in all three pieces on the program. I’m dancing one of the solo girls in Tu Tu, the Red pas de deux in Forgotten Land, and Stella in The Core. Each ballet is very different from the other, so you find different things that you enjoy or challenge you in each piece, but in completely different ways. Tu Tu is very sharp and precise and I’m dancing in a group, so I have to feel the group and pay attention to spacing and such. My part in Forgotten Land is like being shot out of a cannon and it is difficult to sustain the level I am striving to achieve throughout the entire piece. Stella in The Core is a character role, so it is a totally different ball game from the other pieces. I enjoy being taken a little out of my comfort zone in order to establish I new comfort zone….if that makes sense. Stella is a different character than I’ve played in the past, so it’s been challenging, but no doubt worth it in the end. I don’t know which will ultimately be the most rewarding, as I judge my experiences by what happens on stage. I know that I am feeling nervous about all of the ballets at the moment, but I think it’s because I am a “newbie”…..it’s a process….I will get there when it is time. DA: You are also rehearsing Balanchine’s masterpiece, Jewels, which you’ve danced before. What excites you about this American classic? MH: I am dancing Rubies and Diamonds in Jewels and most of my focus has been on Diamonds because I’ve never danced it and it is a role I’ve always wanted to dance, but have never felt worthy of. What excites me most about this program is the style, or should I say styles. Jewels is, in my opinion, one of Balanchine’s best full length evenings, if not the best. It is so classic and exciting and beautiful. The music is amazing. It is such a difficult program for any company to dance and very rewarding for both the audience and the dancers when danced well. I’ve performed Rubies twice with Boston Ballet and I am hoping to bring something new and fresh to my upcoming performances. It is a cheeky little number and I enjoy it very much. DA: It certainly looks like a lot of fun but what are the challenges? MH: Rubies is the most contemporary ballet on the Jewels program and therefore some of the steps can go very wrong and it’s difficult to recover from if this happens. 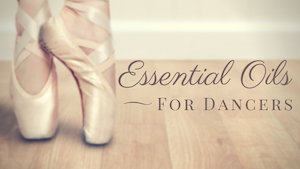 The partnering is a bit tricky at times and the pas de deux is very long and exhausting. The third movement is basically an aerobic workout! Rubies is a challenging ballet to dance as all Balanchine ballets are challenging to dance. They push you to your limit if you let them. DA: There are young dancers reading who envision themselves someday being where you are, dancing professionally in a major ballet company. What are three crucial things that they’ll need to get there? MH: Patience, Perspective, and Fearlessness. To purchase tickets for Houston Ballet’s upcoming season, visit the website. For updates and news, check out HB’s page on Facebook or follow on Twitter. Have you been a “newbie” before? What helped to ease the transition? How did you adjust? Have you ever been told you were not suited for a career in ballet, or in dance? How did you respond? Nichelle, I am so glad to have found your site on linked in. I think what you are doing, bringing dance to the forefront is just fantastic! I loved this intereview. The artistic Director of the Anaheim Ballet Company, where my 11 year old is an apprentice has a daughter that dances with Houston, and one of our highschoolers just went there too to train full time. I hope you won’t mind if I suggest an article on my site. It is just so rare that I find someone so passionate about sharing the arts, that I think you might get a kick out of it. Thanks for reading and commenting on my post about YAGP. Looking forward to being here more often. A dancer doesnâ€™t need a stage, only a soul. It’s buried by now but I have also featured your daughter’s Anaheim video on Dance Advantage before. I don’t have the link at the moment but she’s got a shining personality. Nice to have found you too!